← Saying Goodbye to an Old Friend–or is it Hello??? Over the years, I’ve heard a great deal about DNA. It’s been used to solve major crimes; some of them decades old. It has led to the freedom of people wrongfully charged with a crime, and it has also led to guilty people being incarcerated who thought they would go undetected. DNA is definitely a map you cannot deny. Your individuality is defined by your DNA. Enter the world of genealogy and our ancestral makeup. Over the years, some of my acquaintances have submitted DNA samples for different ancestral lines either to prove or disprove whatever it was they were seeking. I remember about ten years ago when one of my distant cousins discovered that he was indeed a descendant of the man I had identified as our immigrant ancestor. Needless to say, the news made my day. 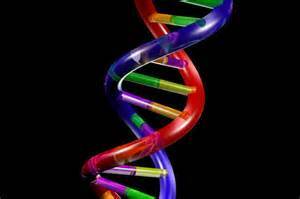 As DNA filtered through more ancestral charts, I began wondering about mine. After all, I have over 18,000 individuals on that tree! Should they all be sitting there?